Managing a block is not an easy task, but living in your home should be – that is why at Cosgroves we go to every length to make our service hassle free and simple for you. We already work with a host of freehold owners and leaseholders who have formed their own management companies, aiding them in the day to day running of their blocks. We pride ourselves in offering a premium service at affordable costs. With extensive experience managing properties from Southsea to Cosham, Emsworth to Fareham – wherever you live we can offer local experience from a local company; our Southsea based dedicated team are always on hand to help. 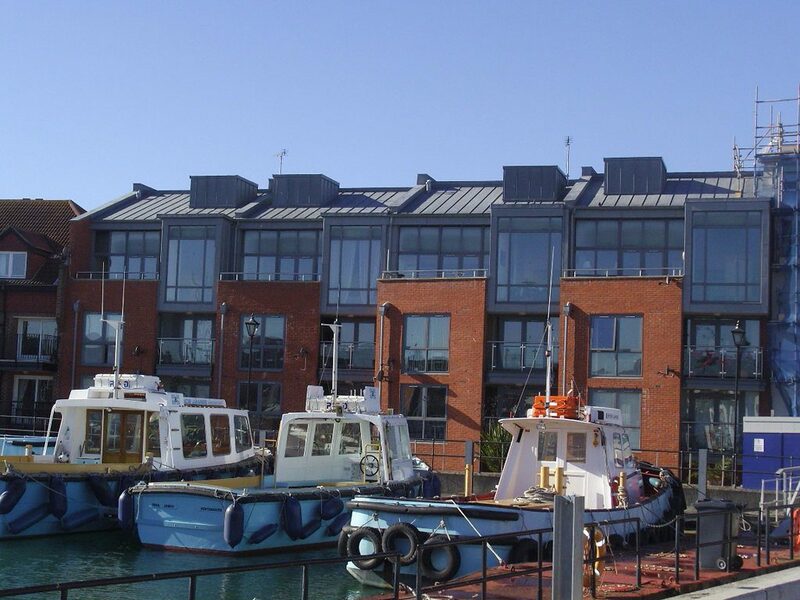 We are the only block management company in Portsmouth with a dedicated, independent block management office (located at 32 – 34 Osborne Road) where our experienced team can deal with every aspect of managing your block, be it 3 flats in a converted house or a 40 unit purpose built block. We have dozens of fully vetted, fully insured contractors working on our behalf who provide high quality services at fantastic value for money. We don’t offer the one size fits all approach you will find elsewhere, instead Cosgroves provide a professional and a personalised approach tailored to your specific needs. If you do not currently employ a block management company, or if you are unhappy with your current management then why not give us a try. Some of what you can expect from Cosgroves Block Management. Provide insurance information and assistance for a range of products and services – Venture Housing Limited t/as Cosgroves is an appointed representative of Arthur J. Gallagher Insurance Brokers Limited which is authorised and regulated by the Financial Conduct Authority. Registered Office: Spectrum Building 7th Floor, 55 Blysthwood Street, Glasgow, G2 7AT. Registered in Scotland. Company Number: SC108909. Please take a look at our brochure for some more information on what we can provide for you. Please also find our contract here and our data protection notice for Leaseholders here. blockmanagement@cosgroves.co.uk or ring 023 92 827 827 ext. 3. We are a member of ARMA – what does this mean? To find out more about ARMA, please follow this link https://arma.org.uk/about-arma or click on the ARMA logo at the bottom of this page. Being a member of ARMA is an achievement which we are extremely proud of. It shows that our working standards are up to their high standards and provides proof of this to our clients. It also allows peace of mind for our clients, with ARMA being an independent external body which regulates our working practices. They provide us with the most up to date information in the industry, which ensures that our training and our advice which we provide is of the highest standard. 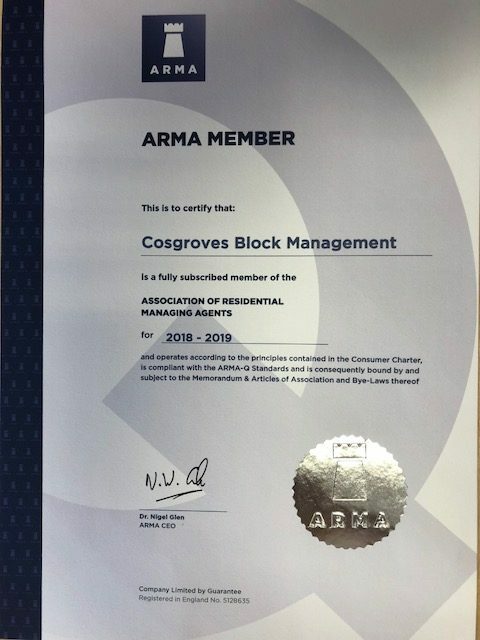 This membership allows our clients to have the greatest possible confidence in Cosgroves Block Management, which is one of our main aims in this business – to make the client’s life as easy as possible when it comes to living in their own home. For more information, please visit our Block Management FAQs page or contact us at info@cosgroves.co.uk or 02392 827 827. You can also find us in our dedicated block management office at 32-34 Osborne Road, Southsea, PO5 3LT.